Since 2012, League of Legends has owed its meteoric and intense success to a game developer that gave stability in a constantly moving industry and an eastern following unheard of since Starcraft Brood War. Although in recent times there has been a greater deal of support and viewership for CS:GO, the scene still lacks the Eastern wave of popularity that League, Dota and Starcraft all borrow from. However, despite the various cultural factors that prevent Counter-Strike from becoming big in the east, there are inklings of a potential surge in popularity. The primary clues that would suggest a rapid growth in the popularity of CS:GO in Asia lies in the explosion of domestic tournaments and foray into counter-strike by the biggest esports brands in China. Before talking about the rapid increase in both the popularity and desirability of CS:GO in Asia and more specifically, in China over the last 3 months, it is worth talking about why it hasn’t happened sooner and the problems facing cs moving forward in the east. 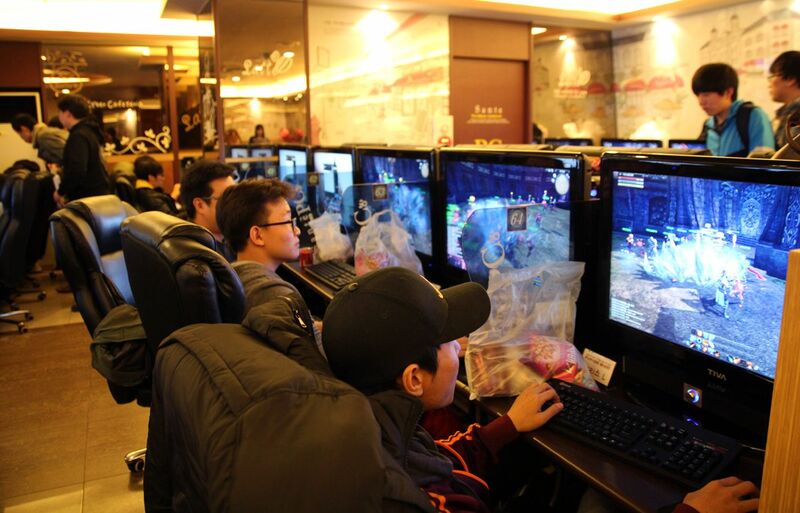 The primary social hurdle that CS:GO is yet to overcome is the internet café (PC bang) culture that exists prominently in both China and South Korea. The impact of pandering to this status quo of gaming culture and consumption of media is not to be underestimated. To see an example of the effect of not only acknowledging the presence of this norm but to also catering to it, look no further than the popularity of League of Legends. Through the combination of incentivising in-game rewards by playing at a PC bang, and the free-to-play model that allowed owners of the PC bangs to put League on their machines at no cost saw League of Legends quickly become the most popular game in the region. It is this latter point, the price-tag of the game that could be the primary limiting factor in the growth of CS:GO within the internet café scene. It is not even that the genre of FPS is unattractive to Asian audiences, with the free-to-play game Crossfire making well over 1 billion dollars a year and being one of the three largest games in China. The popularity of Crossfire could also prove to be another factor that CS:GO needs to overcome; with already such an established fan-base and most importantly, a familiarity with a game that is free, why would the general population suddenly switch to an unfamiliar western game that is stuck behind a paywall? However despite these seemingly inherent problems that lies between counter-strike and immense popularity in Asia, CS:GO has managed to get its foot in the door to the swaths of potential players in the east. Since the inception of CS:GO the biggest household names in Asian esports have taken a standoff approach to picking up teams. However with Chinese MOBA juggernauts: EDG, LGD, and Vici gaming recently acquiring domestic squads, this mindset is set to change. The presence and entrance of these massive multi-million dollar corporations is imperative to increasing the competition and drive to obtain proven talent in the scene, which will have a knock-on effect of increasing the salaries, and as such incentivise amateur and aspiring players to go pro. So whilst the big companies are important, if the teams that they pick-up actual don’t achieve anything on an international level then it is an entirely zero sum game; in order for the companies to want to acquire talent there needs to be talent worth acquiring in the first place. Even as recently as early April this year, to even entertain the thought that any Eastern team could play a top 5 team in the world close would be ridiculous; but in a recurring theme throughout this piece, this has also changed. Tyloo’s upset wins over both Liquid and recently crowned major champions Luminosity at Dreamhack Malmo, combined with their inclusion in the North American ELEAGUE, has a wider impact beyond the publicity for their team and being the talking point for /r/GlobalOffensive’s front page for a couple of days. The progression of Asian CS in 2016 started with CyberZen’s surprisingly close Bo3 loss against ex-G2 (now Faze) at Starladder Series XIV Finals, then the Mongolz qualification into IEM Katowice after star player machinegun led a win over Renegades, and now with Tyloo’s fairy-tale run through Dreamhack Masters Malmo. Although on their own each of these events can be credited as ‘flukes’ or ‘one-offs’, because in reality they probably are mutually exclusive events; it still does show an overall increase in the skill level of the region and bodes well for continued growth in skill throughout 2016 and beyond. As aforementioned this increase in skill and talent gives reason for big corporations with massive marketing budgets to pay attention to Asian counter-strike. So whilst these individual breakout performances from CyberZen, the Mongolz and Tyloo are great for turning heads, consistency is necessary for both success, and a healthy relationship to form between the organisation and the team. In order for the overall talent of the region to rise to the now increased level of its top teams, a healthy ecosystem of: grassroots, domestic tournaments, working in conjunction with massive, 6-7 figure prize purse LANS is necessary for continued growth. Tournaments that fit both these criterion have been popping up since January of this year, and bode well for continued success. On one end of the spectrum we have the Alibaba World Electronic Sport Games which will take place in December of this year and feature a 1.5 million dollar prize pool, and will be held on Chinese soil. This is obviously a massive deal for counter-strike as this is the largest sum of money (so far) that has ever been put forth in the history of the game, surpassing the million dollar major and the 1.2 million dollar ELEAGUE; and even more noteworthy is that this development comes from a Chinese corporation, being held on Chinese soil. Due to the size and scale of this tournament it remains to be seen whether or not an Asian team will be able to make it through the presumably stacked qualifiers, but regardless a tournament of this size will attract live attendance and viewership numbers that will be invaluable if counters-strike wants to make it big in Asia. 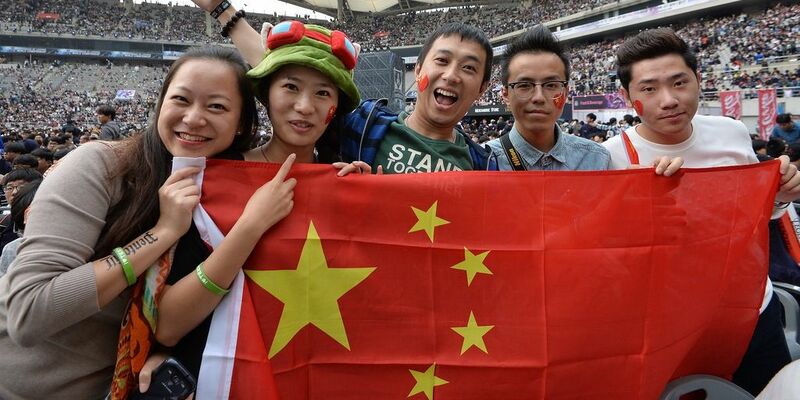 On the other end of the spectrum there is the CS:GO Super League (CSL), and China Cup. The CSL is a double round-robin weekly competition that serves as a qualifier for the China Cup, a LAN final that will have an Asian team from outside China and a European side. Both the CSL and China Cup have a combined prize pool of roughly $100,000. It is also important to note that the qualifier to get into the weekly competition, CSL, will involve 120 amateur teams and 8 invited ‘professional’ sides, and will offer a previously unheard of opportunity to the lower level of competition in China. The combination of tournaments like the CSL and Alibaba WESG are integral for a healthy scene and when all the other factors of proven player talent, big companies willing to invest and high viewership numbers are tossed into the mix, it seems like a sure-fire recipe for a successful ecosystem and an explosion in popularity. So as League of Legends plateaus, Starcraft slowly fades into the ether and Counter-Strike surges forward; the ebb and flow of the esport games hierarchy slowly, but surely will change in the East.